Splitting up families on flights when they refuse to pay for allocated seating could pose a safety risk to all passengers, a report has suggested. 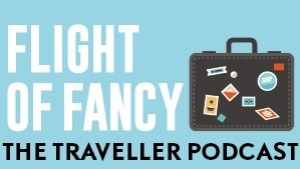 Low-cost airlines such as Jetstar and Ryanair have come under fire in recent years for assigning travellers on the same booking seats in different rows - often a long way apart - unless they fork out extra. And in some cases groups have been split up even when they have paid extra to reserve their seats. 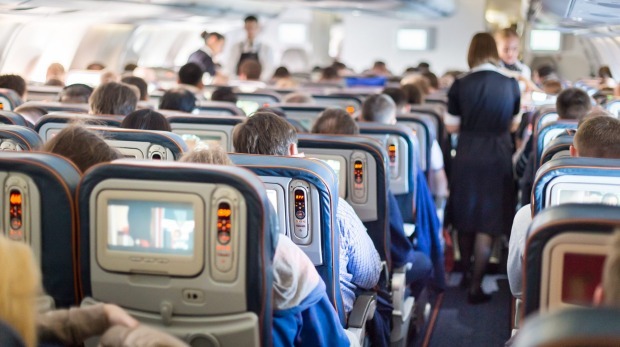 In February the UK's Civil Aviation Authority (CAA) launched an investigation after research showed that one in five travellers who don't pay for allocated seating are split up from their friends or family. For Ryanair, the fraction is more than one in three. Now it is claimed that the practice doesn't just inconvenience air passengers – it is dangerous. The Royal Aeronautical Society Flight Operations Group (FOG) believes family members sat in different sections of the plane may waste precious time looking for one another during an emergency evacuation, putting themselves - and others - at risk. Its report, Emergency Evacuation of Commercial Passenger Aeroplanes, published last week, examined more than a dozen recent case studies and outlined 17 recommendations to improve the process. Under "passenger seat allocation" it advises: "Operators should not charge for family members to sit together. This is especially important… if an emergency situation occurs, such an evacuation, decompression or air turbulence, when the assistance and supervision of an adult is likely to be of paramount importance." The report adds: "Group members who are separated might seek each other out in an emergency evacuation, which might have a serious impact on passenger flow to emergency exits. Children accompanied by adult(s) should ideally be seated in the same seat row as the adult. In twin-aisle aeroplanes, children and accompanying adults should not be separated by more than one aisle. When this is not possible, then children should not be seated more than one row forward or aft from accompanying adults." Many families find themselves split up because they don't want to pay extra to reserve their seats, with fees on Australian carriers ranging from less than $10 to more than $25 depending on which seats are chosen. "Like all EU airlines, we comply fully with all EU safety regulations as demonstrated by our 33-year industry leading safety record," said a Ryanair spokesperson. "All customers can choose to purchase a reserved seat or take a free randomly allocated seat, while our family seating policy requires families (with children under 12) to sit together, with one adult taking a reserved seat for just £4 ($A7), and the children given free of charge reserved seats." Other FOG recommendations include the locking of overhead bins to prevent passengers from trying to retrieve their belongings during an emergency evacuation. After fire engulfed a British Airways plane at McCarran International Airport in Las Vegas in 2015, passengers were criticised for taking many of their possessions - including some wheelie suitcases - with them. The report highlighted a 2012 emergency landing of a Virgin Atlantic flight at Gatwick, during which "passengers retrieving hand baggage from overhead lockers delayed the evacuation", and the 2016 Emirates crash landing at Dubai, when "overhead bins were opened to retrieve baggage even though the evacuation had already commenced and a degree of urgency was obvious due to smoke in the cabin and the external fire". "Passengers seemed to be more concerned with their… possessions rather than their own safety or the safety of fellow passengers," said the report. The solution? "One mitigating option would be for overhead bins to be centrally locked for taxi, take-off and landing, although passengers would still be able to retrieve under-seat stowage items in an evacuation."